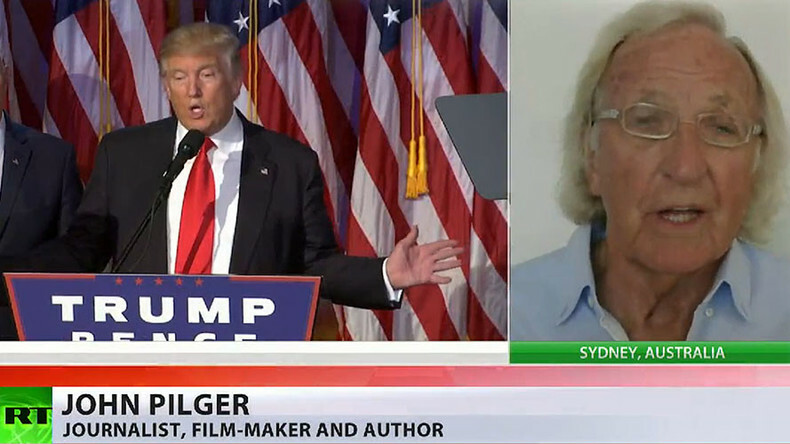 There is great pressure on Donald Trump not to make amends with Russia, journalist and author John Pilger told RT. Geopolitical analyst Patrick Henningsen, and retired US Air Force Lieutenant Colonel Karen Kwiatkowski, also joined the discussion. US President-elect Donald Trump gave his first interview to the press since winning the US presidential election in November. Speaking to The Times of London, he called NATO “obsolete” and hinted that sanctions against Russia might be lifted. "Let's see if we can make some good deals with Russia," he said, adding that, in his opinion, nuclear weapons should be reduced. Meanwhile, in an interview to The Wall Street Journal published on Friday, he said: "If you get along and if Russia is really helping us, why would anybody have sanctions if somebody’s doing some really great things?" — RT (@RT_com) 15 января 2017 г.
RT: In the interview with The Times the president-elect said there is a possibility American sanctions against Russia will be lifted if deals are made between the two countries, including on nuclear arms reduction. How do you read this potential agreement? John Pilger: It seems that all the noise that he’s made suggests that he wants to do a deal with Russia. That makes a lot of sense from everyone’s point of view. There is a great deal of pressure on him not to do that. He seems to be resisting it, but all this is speculation… I would have thought, listening to President Putin and Trump’s remarks that a deal is in the offing. And that’s a very good thing if there’s not going to be a war between Russia and the United States. What about China? Mr. Trump seems to divide the world between Russia and China: good Russia, bad China. So we’ll see. I don’t know. RT: Why do you think the rhetoric has quite swiftly changed? Russia has been known as bogeyman number one. Why is Trump setting sights on China at the moment? JP: I have no idea what goes on inside Donald Trump’s mind. If I speculate, I suppose I look back on the election campaign when Trump made a lot of rather fatuous views and abuse of China. He blamed China for destroying jobs in the US. China became the bogeyman. I think in his coterie, particularly his Chief of Staff, who is closely aligned with Taiwan, there is a pro-Taiwan element and anti-Beijing element. Whereas I think Trump himself has always wanted to simply get along with Russia. You look at his designated Secretary of State. He wants to get along with Russia. But at the same time, he is threatening war with China. It is utterly bizarre. RT: What about Obama’s legacy? How will he be viewed by future historians? JP: In fact, in 2009, Obama said he wanted to help rid the world of nuclear weapons, yet no president since the end of the Cold War has increased nuclear warhead spending as much as Obama has. Obama has been one of the most violent presidents. He initiated a worldwide terrorist campaign with Hellfire missiles being fired by drones at so-called terrorists, certainly at weddings and funerals… in some of the poorest countries in the world. What I find personally some of the most shameful descriptions are those from so-called intellectuals in the West - writers, journalists, people in the liberal establishment who have had all the privilege that they ought to know better – yet they are falling in sycophancy to this man, who has done what he was meant to do. He served the power. As far as Trump goes, he worries them because they didn’t get their woman [Hillary Clinton]; he worries them because he doesn’t come from inside that milieu, although Trump is actually the embodiment of a modern, powerful America. He’s made his money in property. But that still puts him outside the State Department, the CIA, even outside, to a large degree, his own party. And what worries them most of all is that he might recklessly go around the world and make peace with countries like Russia. That would be appalling! We need a second Cold War to keep things cooking along. That may sound like a parody, but unfortunately, it’s true. 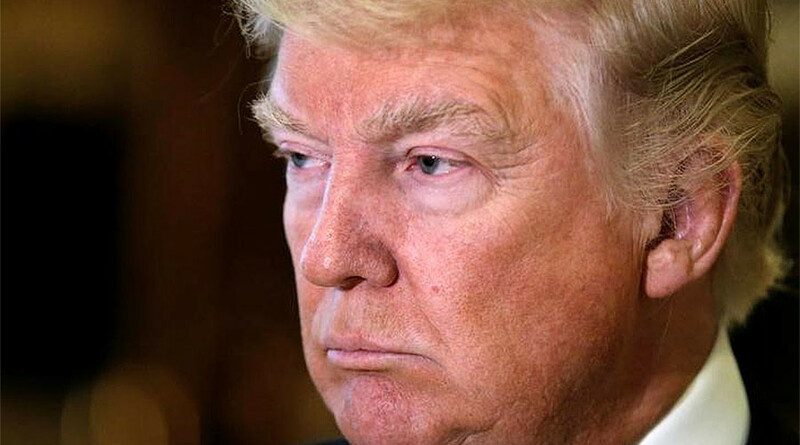 Geopolitical analyst Patrick Henningsen said that from a strategic point of view it was very smart politically by Trump to mention the nuclear arms issue, as it is a big set piece, which was prominent during the Cold War years and used by Presidents Jimmy Carter and Ronald Reagan. RT: In the interview with The Times, the president-elect said there is a possibility that American sanctions against Russia will be lifted if deals are made between the two countries - including on nuclear arms reduction. Do you think this can actually happen? 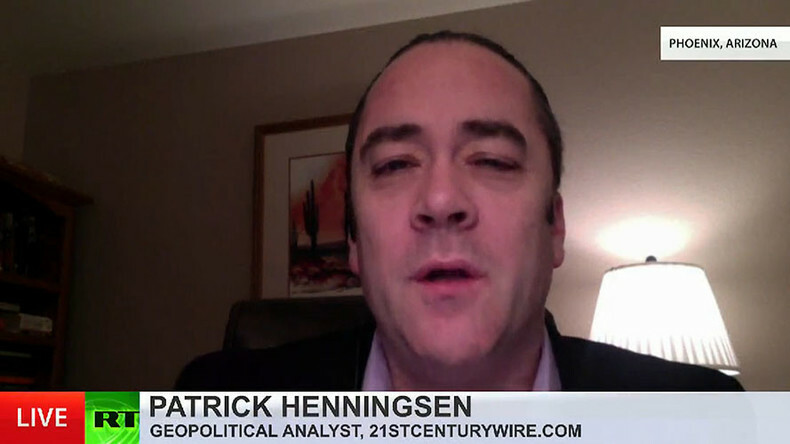 Patrick Henningsen: From a strategic point of view, very smart politically by Donald Trump to mention the nuclear arms issue. This is really sort of a big set piece, one that was really prominent during the Cold War years and was used to great affect by Presidents Jimmy Carter and also Ronald Reagan. So really a wise move on Trump’s part. You’re not going to get much opposition domestically and internationally from a reduction of nuclear arms, I think. Generally the public sees that as a positive thing no matter whom you’re polling on that issue. So the way of diffusing some of the anti-Russian rhetoric and hysteria that has kind of taken over US politics at the moment and sort of put a damper on that, and then move things into a more constructive bilateral diplomatic direction. It seems that is what he is doing there with that signal. RT: Are you surprised that he's not linking the sanctions to Russia's alleged role in the Ukraine conflict, but instead focusing on nuclear weapons? PH: The problem is there is not much move in terms of Ukraine. The whole basis of that part of the sanctions is based on Crimea. So in order to reverse that way of thinking, you’d have to convince people in Crimea… that the referendum that they had in the spring of 2014 is null and void. In other words, 90 plus percent of the people voting to rejoin Russia - that would have to be null and void. That is not going to happen. The facts on the ground are already determined. That is a kind of a losing battle. It is a great talking point in the US: ‘Russia invaded Ukraine; Russia invaded Crimea.’ But in reality, those two things didn’t actually happen. That is why, I think, he is choosing that direction instead. But still, there will be a fight and talk in the press and a lot of rhetoric about it. But that is not going to change the reality on the ground. The sanctions regime is very unpopular in a lot of European countries, and if the US falls off with sanctions, there is going to be very little to keep Europe holding to that same sanctions regime because it has been very debilitating to so many European countries – the loss of trade between Russia and Europe. If Washington backs out or weakens its position on Russian sanctions at all, then I don’t see anything that is going to hold Europe to that same sanctions regime. So it will be very interesting to see what happens there. 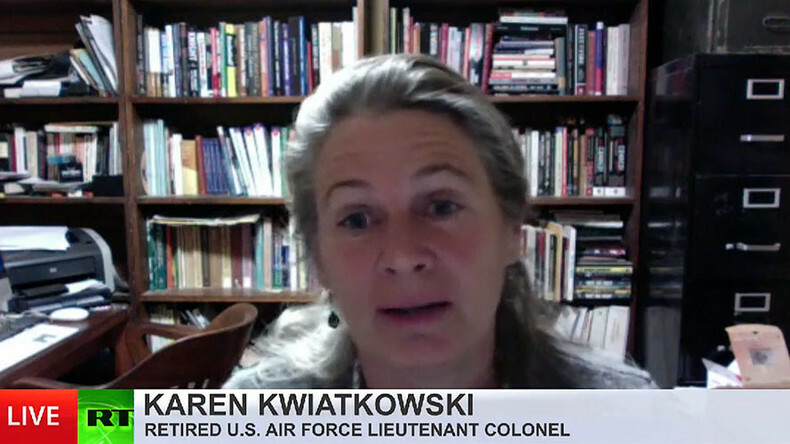 The President-elect is trying to show the US press he is independent, especially after some domestic critics accused him of being in Putin’s pocket, retired US Air Force Lieutenant Colonel Karen Kwiatkowski told RT. — RT America (@RT_America) 16 января 2017 г.
RT: He also said he trusts Vladimir Putin but doesn't know how long that will last. Previously he made some similar comments on the subject. What do you think he meant by that? What could change? Karen Kwiatkowski: Well, he is trying to show the American press that he is independent and he’s ‘America first.’ Certainly the whole idea of the ‘American first’ ideology – that is what he ran on. He’s being himself; he’s reflecting the true statement. At the same time, he is kind of covering his back a little bit, because he has received domestic criticism. Many people – Democrats and others - have accused him of being in Putin’s pocket. Obviously, he doesn’t want to provide any additional information that would lend to that idea. And as the president he’s going to make all kinds of decisions based on meeting people, getting to know them, and working with them. It is very fair and very typical of Donald Trump; I am not alarmed by it at all. I am quite comfortable with what he is saying so far. RT: Donald Trump also called NATO obsolete, saying countries other than the US are not paying their fair share. What could this mean for the future of the organization? KK: Well, he has repeatedly in the past year talked about how many NATO countries don’t pay their fair share. That is a known fact and we recognize that. What I like about it is that he stated in very clear language that NATO is obsolete and weak; it is very old, that it was built and designed for a previous era that no longer exists. Also in the interview he talked about how it was ineffective; it was not geared to today’s security challenges - globally or in Europe. He is making some statements, which from my perspective he is stating the obvious. What is radical about it – nobody does that. It is very exciting.